This is our 4th Annual Fundraiser Event in support of C.R.I.S. Adaptive Adventures! Come out and show your Community support in this unique trail race event this June. We have a course for everyone with 3 trails to choose from again this year. All ages and all abilities welcome. Trail Riders available upon request, please contact the Charity directed to arrange. 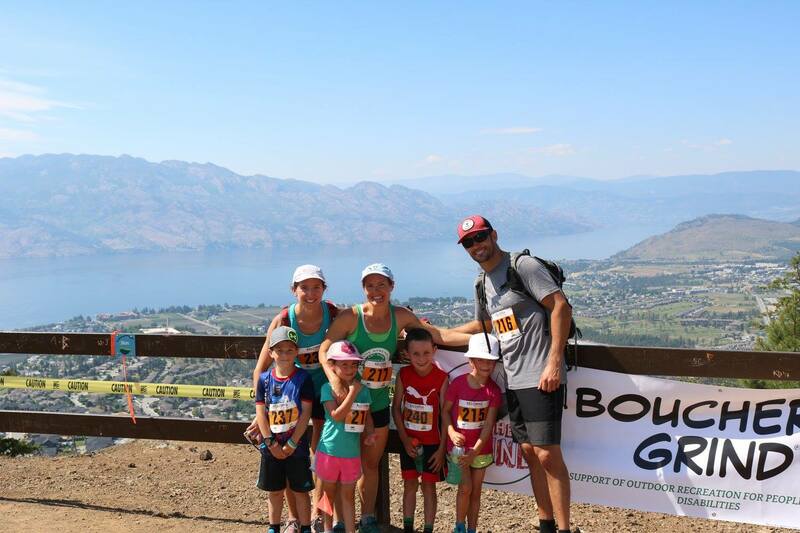 This race will have you hiking along the beautiful scenic trails on Mt Boucherie in West Kelowna, B.C. It will be professionally timed by Zone 4 timing, and you will receive chip-timed results. The Event Village at Darroch Park will be set up with our sponsor’s booths, stay after the race for food, beverages & prizes generously donated for all our participants to enjoy. Awards will be given to the Top Male and Female in each course. The Event is co-hosted by the West Kelowna Paid on Call Fire Fighter Association. The Firefighters will be on site in the village and throughout the trails. Race Shirts will be available for purchase during the Event. Same / day registration will be available 30 minutes prior to race start times. Stay in tune to the Boucherie Grind Facebook and Instagram page for updated information on Event Sponsors and exciting highlights! Sign up today & come hike with us!